It seems like not only Windows Vista Ultimate edition (most expensive and include all other less featured versions) that is been leaked for immediate download in Internet, 2007 Microsoft Office System suite of Microsoft Office Enterprise 2007 final RTM build 12.0.4518.1014, likely to be burned from retail CD, is also been leaked and released via BitTorrent (BT) P2P (peer-to-peer) network, and most likely soon been copied over to other file sharing network such as eDonkey or eMule (ed2k). 2007 Office System Enterprise Edition consists of Microsoft Office Access 2007, Communicator 2007, Excel 2007, Groove 2007, InfoPath 2007, OneNote 2007, Outlook 2007, PowerPoint 2007, Publisher 2007 and Word 2007. To download the full ISO or BIN CD image of Microsoft Office 2007 System Enterprise edition with BT torrent, you need to have BT (BitTorrent) client such as BitComet, Azureus, uTorrent, BT++ or ABC installed on your computer. The various Office 2007 torrents currently available download files that contain splits of a compressed archive. Use extraction or compression utility such as WinRAR to combine and extract or uncompress the BIN and CUE extension archive. Then, burn the Office 2007 CD image to CD by using Nero to run the setup from CD, or simply unpack contents of the image by using IsoBuster or UltraISO, and then run the office installation from the local disk by double clicking on setup.exe. Unlike Windows Vista, Microsoft doesn’t update volume activation process for Office 2007 System, which is still using Volume Activation 1.0. In short, corporate and business users on volume license agreement require no activation. Thus, if any user can get hold, spy, hack, crack, steal, or ask somebody give a Office 2007 volume licensing key (VLK) serial number, then the user can install and use Office 2007 without any activation. 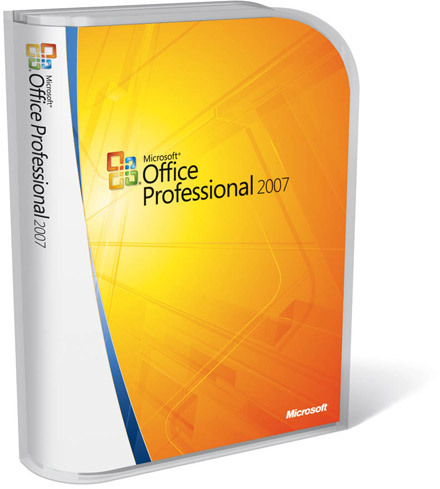 For the above downloaded Office package, the VLK product key for Office 2007 is supplied in the text file with .nfo extension. However, the use of leaked and publicly available product key or serial number most likely will fail the Office Genuine Advantage (OGA) validation when trying to access Office Updates or add-ons from Office Online. If you’re MSDN and TechNet subscribers, Microsoft Office System 2007 is also available for download for free since yesterday. The versions and editions of Office 2007 System that are available for free download are Office 2007 Desktop Programs (Office Groove 2007, Office InfoPath 2007, Office InterConnect 2007, Office OneNote 2007, Office Project 2007, Office Visio 2007), Office Professional 2007 / Office Professional Plus 2007 / Office Ultimate 2007 which belongs to Office Suites. After downloading Office binaries and files, subscribers can request the legal, valid and genuine Office product keys. Microsoft has also launched Power Together marketing campaign to promote Windows Vista and 2007 Microsoft Office Systems. In the campaign, Microsoft will giveaway free genuine licenses of Vista Business and Office Professional 2007 after users complete certain tasks and fulfill the criteria.